If you’re considering installing solar photovoltaics (PV) one of the factors affecting the final price and performance of the system is which type of solar panels to choose. There are several different types of panel available, but it is worth describing some key factors first. The term ‘efficiency’ is a much misunderstood term, but it relates to how much power the panel produces for a given area of panel. Note that a 250W high efficiency panel will produce the same amount of power as a 250W lower efficiency panel, but the high efficiency panel will be smaller. Hence efficiency only really becomes important for small roofs, where high efficiency panels are used to maximise the amount of power that can be produced from the roof area. For large roofs there is no real benefit in using high efficiency panels if you can install the size of system you want with standard panels. When the cells that make up a solar panel are manufactured, they are tested for power output and sorted into 3 or 4 groups, so that the highest power cells are all used in one class of panel and the next group all used in another, and so on. This means that each make and type of panel is often available in different ‘power classes’ – typically 235W, 240W, 245W for polycrystalline and 245W, 250W, 255W for monocrystalline. The panels from the different power classes will all be the same size and look identical, but will be sold according to their power class. The yield of a solar panel relates to how much energy it will produce under typical weather and light conditions throughout the year. It is a very important factor and can significantly affect the overall output of your solar PV system. Panels from different manufacturers with the same power rating of say 250W can have different yields because they behave differently under lower light levels. The power rating of a panel is measured under standard test conditions of 1000W of solar irradiation at 25C, which is equivalent to a very bright sunny day. We rarely have these conditions for very long in the UK, so it is important to select panels that have a good output under lower light levels too. Solar Voltaics use proprietary solar software to analyse the panel power output data under differing light levels to ensure that panels giving the highest yield are specified for our customers. This combination of high yield, quality and competitive pricing is one of our key aims. 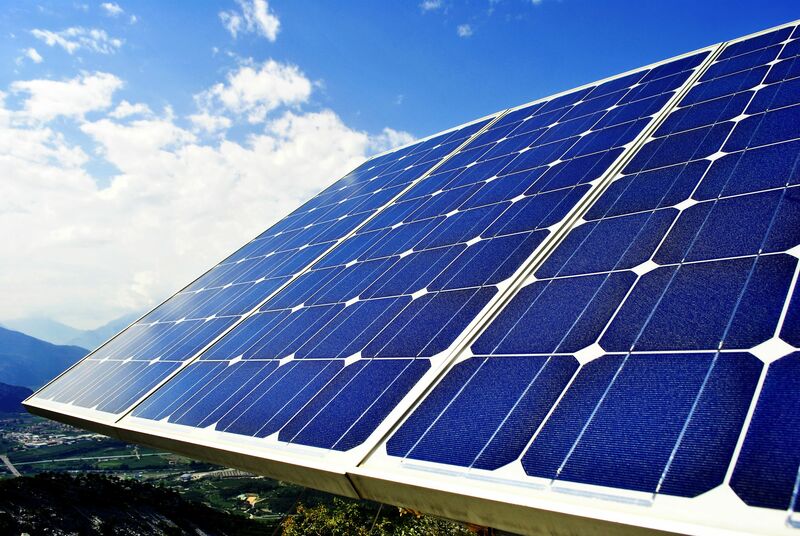 Solar Voltaics works with a range of solar panel manufacturers and the selection of the brand/model of the panels depends on the details of the solar panel installation. For both commercial and domestic solar quotations we will list the brand and model of the panel. If you have already researched certain brand panels or your are comparing prices based on a quote listing branded panels, please feel free to contact us for advice and a competitive quotation. The list of the main brands we currently install is as follows, and check further down this page for data sheet downloads. Most panels are either polycrystalline or monocrystalline, which refers to the way they are manufactured. They have broadly similar characteristics and efficiencies, with monocrystalline panels often being available in slightly higher power classes. We can advise you on the most suitable panel for your particular application. Because we are completely independent, we are not tied to providing one make of panel – we will propose a panel that we believe best fits your requirements and can source any make from anywhere in the world if required. Monocrystalline and polycrystalline panels are normally supplied with a silver anodised frame. Some are available with a black frame and backing sheet which can make them more attractive and blend in better with the architecture of the building. Black panels are normally slightly more expensive. Thin film panels are nearly always black in appearance and have black frames. Hybrid panels are normally supplied with black frames and have an option to have a black backing sheet as well. You can download datasheets of some of our most popular solar panels below. Please note these documents are made available for general information only. The copyright belongs to the respective brands/manufacturers. Solar installation plans should be based on professional advice. No guarantee is made about the accuracy or updatedness or completeness of the information in these documents.